Discover It Cash Back is providing 5% cash back on purchases for Grocery, Gas Stations, Uber & Lyft, Restaurants and Amazon.com in different quarters. If your regular purchases are on these categories, this card can be quite beneficial for you. Balance transfer fee is 3% and this is a good rate. There is 14 months 0% introductory APR for purchases and transfers. 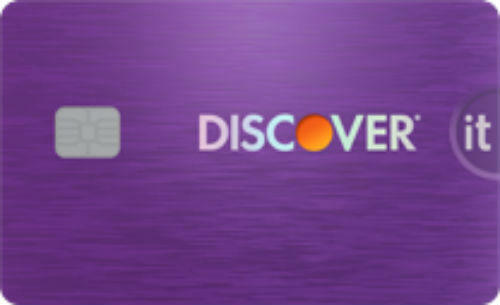 Discover It Cash Back card doesn't ask for annual fee. Cash Back Match after first year. Very limited categories for 5% bonus. Cash advance minimum and maximum fee is high. Cash Advance APR is also high as well. We don't recommend this card if your purchases are not generally on bonus categories. Discover it is a cash back which provides 5% cash back to you for different purchase categories in each quarter of the year. These categories are just limited with Grocery, Gas Stations, Uber & Lyft, Restaurants and Amazon.com at the moment. If situation changes, we are going to update this review page. You can find a detailed review for Discover It Cash Back Card below. If you have any questions, please let us know. 14 months introductory APR is a good opportunity. Introductory APR is helping people to save a lot. Sometimes it can be more effective than rewards and cash backs. Let’s see calculate how much you can save in introductory APR period. We believe that maximum APR of the card is not bad and minimum APR is very good. However Cash Advance interest rates high. 5% cash back is good amount. However this depends on your purchases at all. For example grocery is a good opportunity for every consumers. However I don’t think other options are good enough. Why? Personally I have no business with Amazon.com, Gas Stations and Uber & Lyft. Besides I don’t visit restaurants very often. You should calculate your annually purchases well and decide to get/use the card or not. If this card is going to be beneficial for you just 3 months, it won’t worth it at all. You are going to earn 1% for all purchases other than bonus category in a quarter. There is not any sign up bonuses on Discover It Cash Back. The foreign transaction fee of the card is unknown since there is not any statement about this fee from the company. We recommend you to call Discover It to learn rates of foreign transaction fee. It is important for you if you are purchasing from abroad very often. Balance Transfer fee is 3% and this is very good. However cash advance fee is 5% and this is very high. $10 for minimum cash advance fee is also high too. 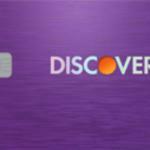 You will not pay any annual fee for Discover It Cash Back card. This card can be profitable for you if your purchases are are regular on Grocery, Gas Stations, Uber & Lyft, Restaurants and Amazon.com or 3 purchase categories. Otherwise it won’t worth to get this card. You can see rates and fees of Discover It Cash Back card below. There is one or two purchase categories for 5% cash back in a quarter (3 months). No Sign Up Bonus. But there is cash back match after 12 billing period (1 year). It means if you collect 10000 cash back in a year, you will earn 10000 extra cash at the end of the year. None Unknown $10 or 5% 27.24% 3% 0% APR for first 14 months. You can write a review below for Discover It Cash Back card. You can also read user reviews.